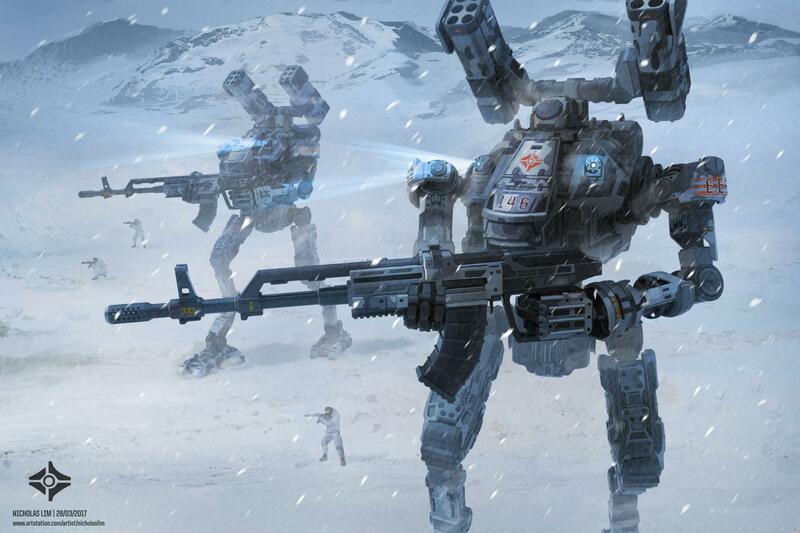 Eastern European Coalition (EEC) force recon Mech Squadron 'Cyclops', Cold Districts operation. 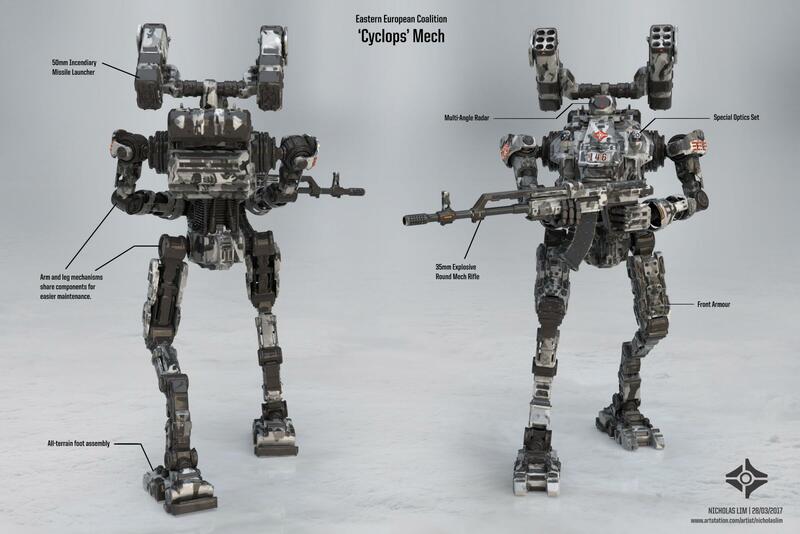 Mech was done in 3DCoat sometime ago, everything else was done with Photoshop. I applied a Smart Material with a winter camouflage pattern to certain areas and left the rest a sort of bare gun metal.